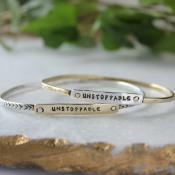 "Empowered, ""Sisu"" Silver Bar Necklace"
This bar necklace is a great reminder to embody the spirit of this powerful concept. The Finnish concept of Sisu (see – soo) is described as stoic determination, tenacity of purpose, grit, bravery, resilience, and hardiness and is held by Finns themselves to express their national character. Sisu is a grim, gritty, white-knuckle form of courage that is presented typically in situations where success is against the odds. 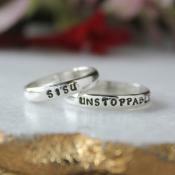 It expresses itself in taking action against the odds and displaying courage and resoluteness in the face of adversity. 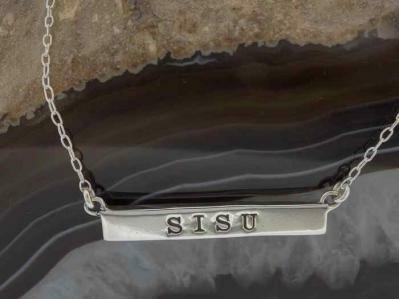 Our stamped Sisu bar necklace is a simple statement of a powerful character.